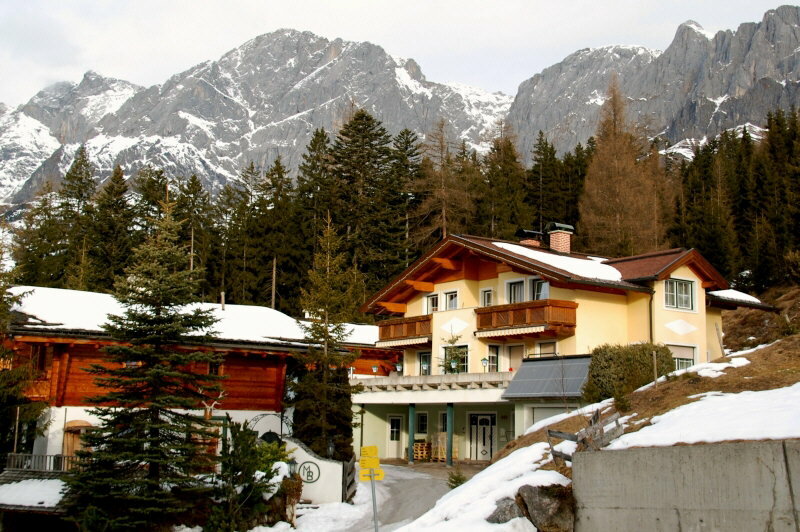 Hochkonig in Austria is famous for its Konigstour, or King’s Tour ski route, but as Karen Bowerman discovered, the region is full royal treats for snow lovers. I stood at the top of the ski lift in brilliant sunshine. The run – a crisp, snowy corduroy – meandered down the mountain. 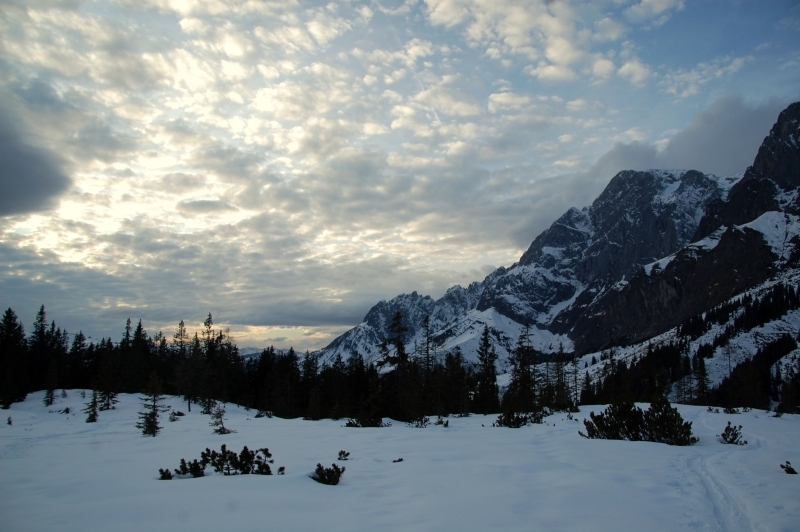 Opposite, the crags of the Hochkonig – a row of rugged triangles dusted with snow – rose sharply into an intensely blue sky. The place was empty; we knew the pistes wern’t challenging, but the view and the sense of isolation made this my favourite afternoon of skiing in the Hochkonig region of Austria. It was almost as if I’d just bought a mountain and my friends and I were exploring it together. Hochkonig is made up of three towns: Muhlbach which lies 50 km south of Salzburg, and its neighbours Dienten and Maria Alm. The resorts share 33 lifts, 150 km of slopes and one of the best snowfall records in Austria. Hochkeil (1783m) – “my” mountain – is a 10-minute drive from Muhlbach. 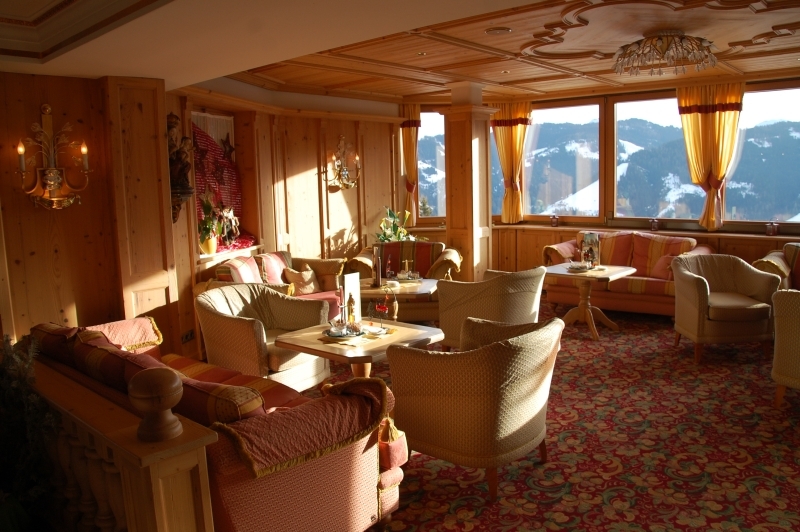 At its foot is the chalet-style Arthurhaus hotel, famed for its cheese fondues and as a base for snow shoeing and geocaching activities (GPS-style treasure hunts). The surrounding valley was once home to Hitterberger Kupferbergbau, a 19th century copper mine, although there’s evidence that mining went on here as early as the Bronze Age. 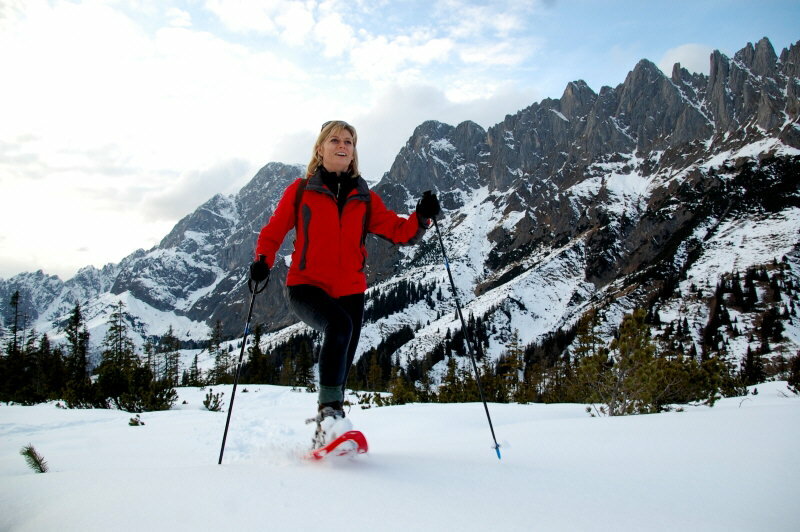 Go on a snow shoe tour from the Arthurhaus hotel and you’ll learn a lot more about the area’s history and heritage. As for skiing, Hochkeil has no long runs, no large lift systems and no piste side cafes booming out music. It’s a tiny, isolated resort favoured by couples looking for a quiet afternoon and local families with children. Hochkonig is best known for the Konigstour (Kings Tour) – 32 km of runs covering five peaks between Muhlbach, Dienten and Maria Alm. The route has a few blues but it’s mostly reds and blacks. We set off from Muhlbach and stopped at a mountain cafe on Gabuhel (1634m) for a traditional lunch of weiner schnitzels (veal escalope in bread crumbs) and kaiserschmarren (sugared pancakes). As we warmed up with a gluhwein, our guide suggested we could even catch up on our emails! Hochkonig is one high-tech ski region. It has 14 wifi zones (the largest free system in the Alps), apps so you can decide where to ski, eat and take photos and GoPro cameras available for rent, without charge, on production of a Hochkonig card that’s free from most hotels. Given the view, I decided the wifi could wait. I sat in the sun, surrounded by snow capped mountains. At the end of the day we returned to Muhlbach via a picturesque blue run which wound through fir trees from the top of Sunnhutte (1750m) all the way down to the valley. Given it’s length, we had to stop for the odd schnapps on the way, of course! 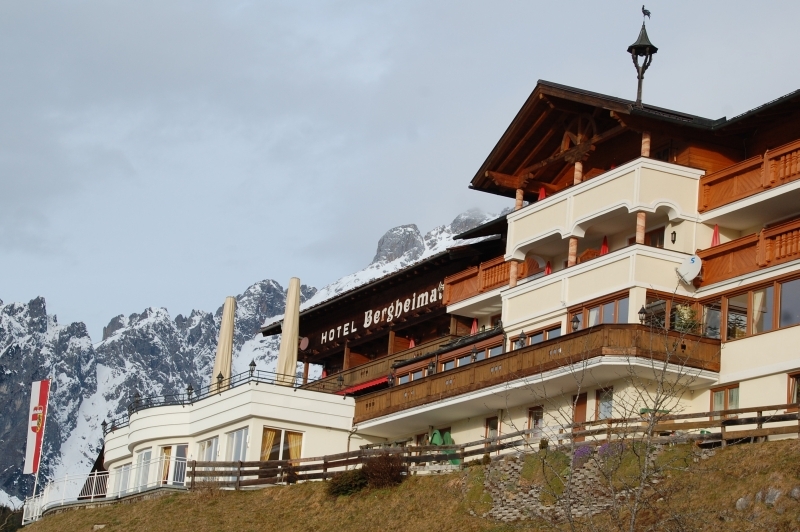 Hochkonig doesn’t have a big apres-ski scene but our mountainside hotel, the Bergheimat, served hearty food and some great regional wines. There was also a luxurious spa with a pool and various steam rooms and saunas. One evening, after a long, relaxing steam, I lay on a lounger and watched the lights of the piste bashers as they crawled through the darkness towards the summit of Sunnhutte. It was thrilling to think that, after a good night’s sleep, I’d be swishing down its slopes in the morning. More information on the Hochkonig region. Hochkonig ski region is part of the larger Ski Amade region. 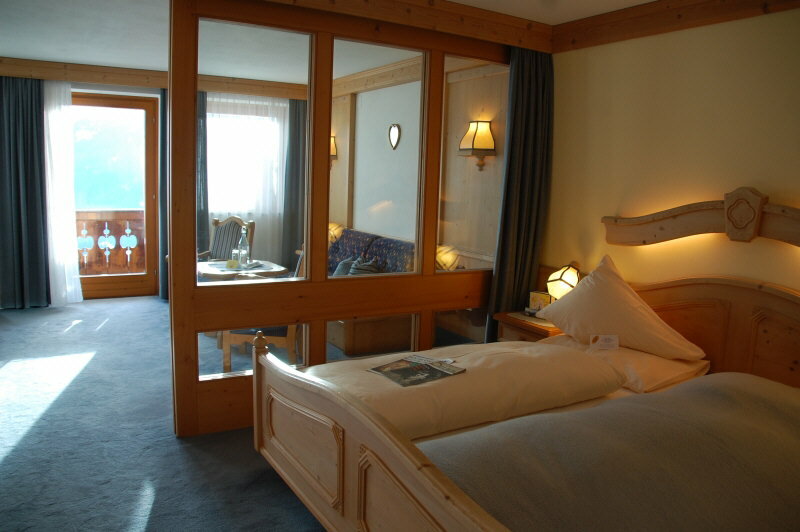 Try Hotel Bergheimat – a four star, family run hotel in the mountains overlooking Mulhbach. 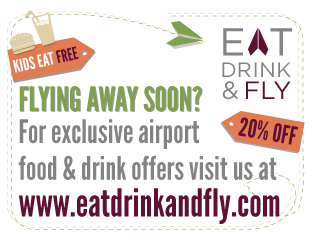 Dining is superb and there’s a plentiful buffet breakfast. The hotel has a spa with a pool, steam rooms and sauna. A local bus (free with the Hochkonig card) links the hotel with Mulhbach and surrounding ski routes. Mulhbach is a 50 minute drive from Salzburg airport. 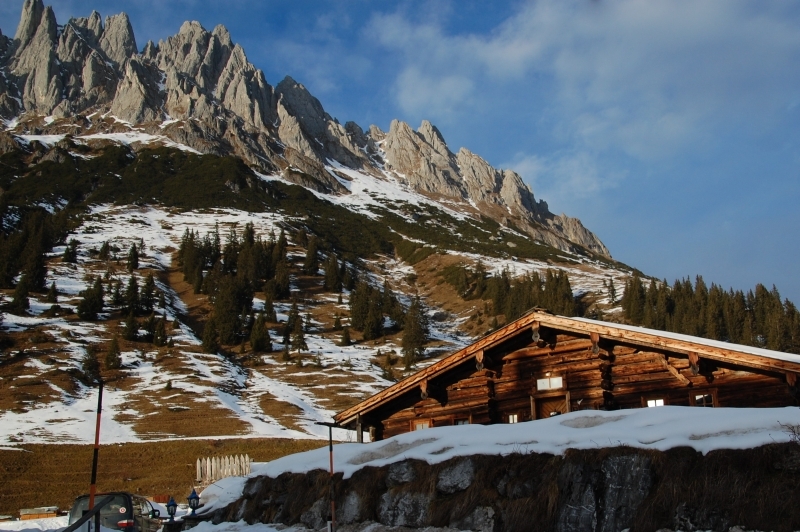 Toboganning: Take a short hike (30 mins) to the hilltop Gasthof Grunegg mountain hut in Dienten. 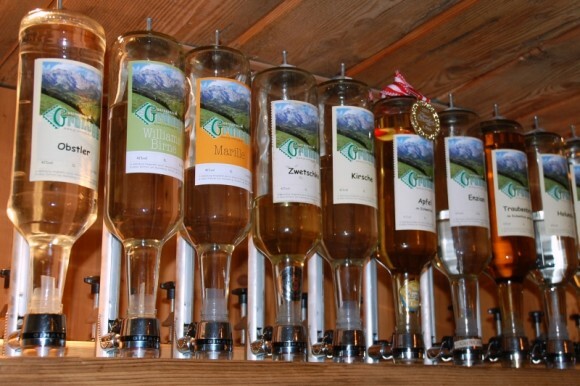 Enjoy a local meal or a schnapps tasting (the owners make their own) then take a toboggan down. It’s an exciting 1.8km ride. The area is also beautiful for hiking in the summer. Geocaching: Cache GPS coordinates are available at Dienten and Muhlbach tourist offices or via www.hochkoenig.at where you can also hire a GPS for a fun day out. (A 50 euro deposit is required). When you find the “treasure” at each point, you sign a miniscule book, take a small item from the treasure box (this might be a lapel pin or a sweet) and leave something small for the next person. Cheese Fondue night: Arthurhaus Hotel opens its cowshed to serve locally-made cheese fondue during winter months. Don’t worry, it’s very cosy and clean! Thanks for the information. I am taking my young daughter tobogganing for the first time and Grunegg seems to be the only open run in the Ski Amade area. I had a problem because I could not figure out how to get up to the top. Until I found your recommendations section. Your blog is the only one I could find that gave me the answer…walk up and ride down. Now I know I don’t have to buy a lift ticket (unless we get tired of tobogganing and want to ski of course). However skiing won’t be an option until we get our tobogganing fix. Last year, the snow was bad and we ended up in Kaprun skiing the whole time up on the glacier. Which is great unless you are a 7 year old who has been told if she skis 2 days then we can toboggan 2 days. The snow never came during our trip and someone was not too happy that Daddy said we could go sledding and it didn’t happen. So my mission this year was to find tobogganing and Grunegg seems to be the sole location as of today. Maybe this week will bring more snow at the lower elevations and other places will open up. Anyway, thanks for the great write up and tip for Grunegg.